EARTH DAY IS UPON US! And it’s one of my favorite days of the year. In fact, the entire month of April is a beautiful reminder to be mindful of the blueprint we’re leaving on this earth. 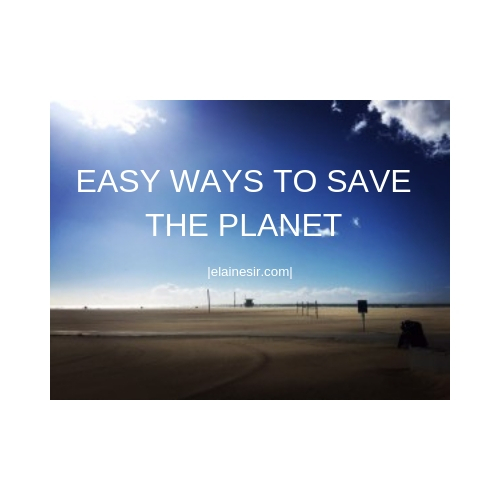 Here are some fun and easy ways to save the planet! This piece was a fun collaboration with childhood friends — YOURS TRULY), PLUM JOYFUL and DR. NOOSHIN RAZANI. 1. Stop using plastic cups at your work or school’s commissary. Bring your glass mason jar or other cup. I’ve been known to grab ice from the commissary to make an iced coffee or to just have a tall cup of delicious cold water. Now I’ll be doing this instead. 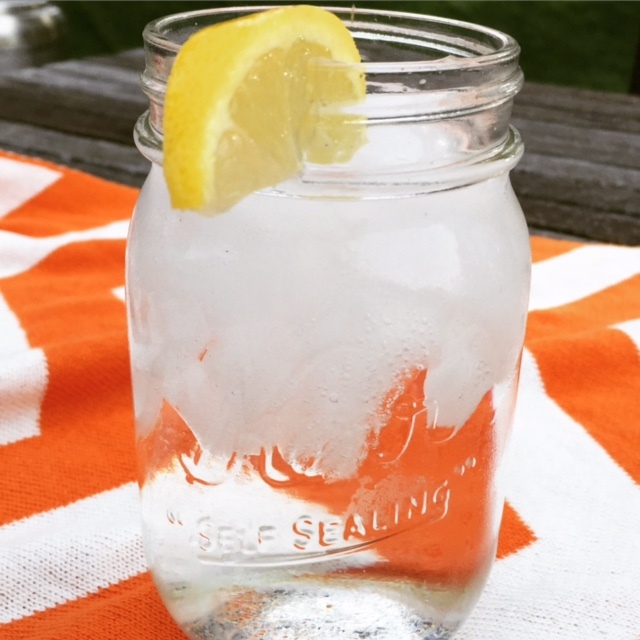 (Plus, BPA free or not, who needs all that plastic?!) Help our earth and our landfills. 2. Try eating vegetarian / vegan at least one meal a week. Better yet, one meal a day. Better yet, every day. Whatever you can do. Watch COWSPIRACY and VEGUCATED — and read Russell Simmons’ HAPPY VEGAN! Raising animals for food requires an enormous amount of land, food, energy and water. Yes, even vegan / veggie bowls can pack a protein power punch! One of my favorite healthy living websites which I’ve mentioned before is A Nutritionist Eats. 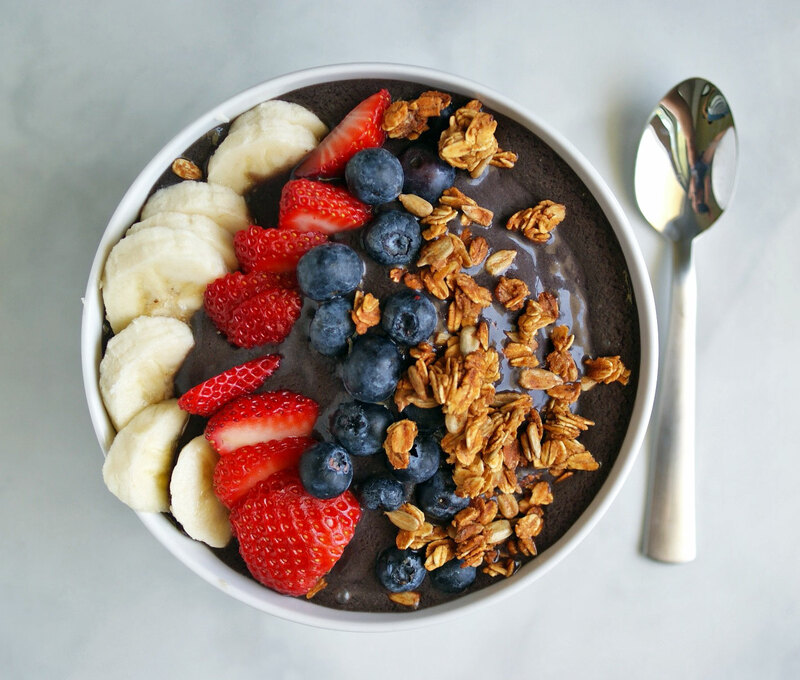 She is a fabulous LA based nutritionist with easy, clean and delicious food recipes such as her acai bowlwhich is so simple and refreshing. Just add Sun Warrior vegan vanilla protein powder to make it a protein packed snack or light meal! Or you can always go with a Los Angeles fave – one of the many scrumptious food items on the Real Food Daily menu. For me, I always choose the Basic 4 or 5. 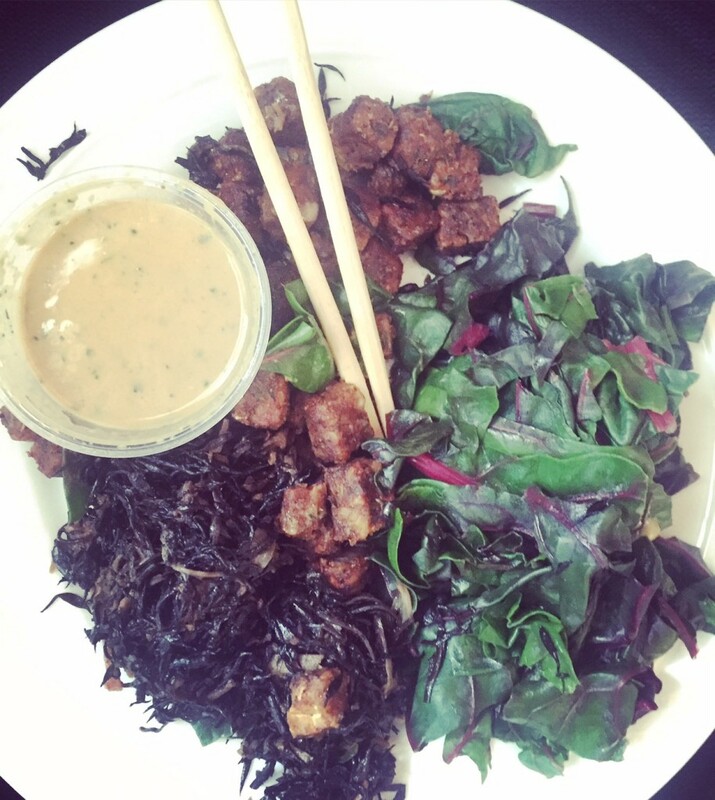 2 servings of sea veggies, greens, brown rice and the blackened tempeh! With a side of the peanut sauce. Obviously. 3. Simmer down with the Amazon. 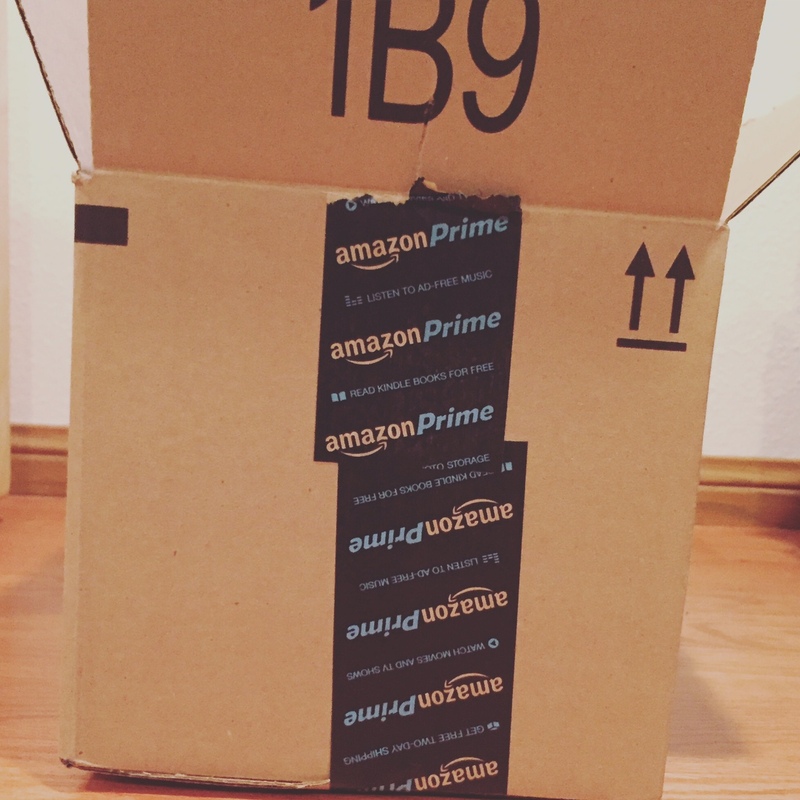 I am totally guilty of this… I get that Amazon is so beautifully convenient. But until they get to using reusable cartons to ship your items, get off it as much as you can. Things like toilet paper eat up an entire treeAmazon box. It’s better to just walk yourself to the store for those items — and reserve Amazon for crazy deals or items that you can’t buy elsewhere. 4. 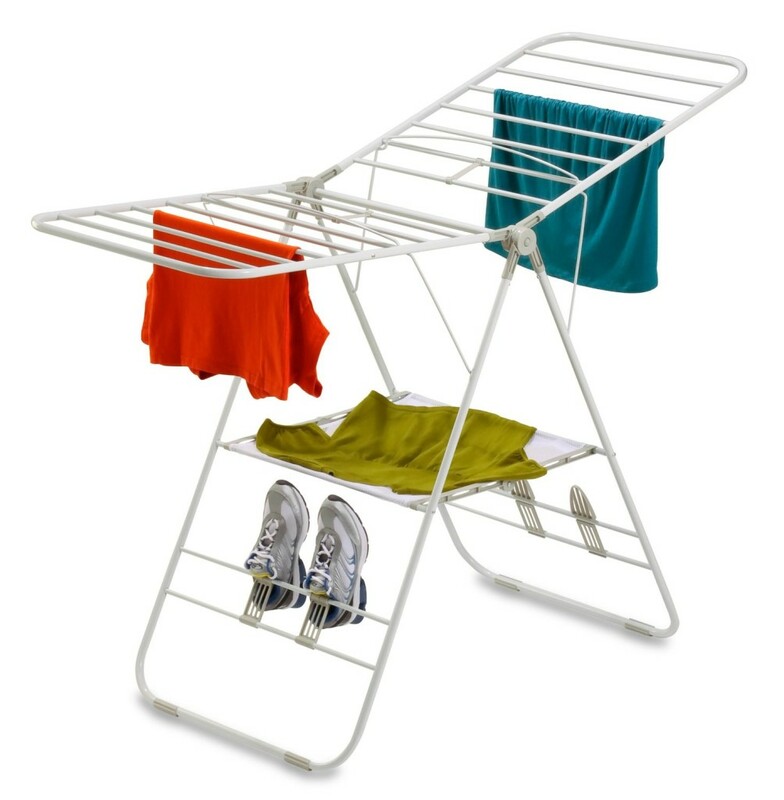 Buy clothes drying racks. There’s no excuse especially with the sun coming out this spring and summer. Ditch the dryer and hang your clothes out to dry. 5. Use beauty products that take Mother Nature seriously – like CLARITY MD. If you’ve been following the news on NPR, you’d know that the microbeads found in many of our cleansers and exfoliators contain microbeads. A big no-no. We like them because they clean out the junk in our pores – but they’re killing our planet. They are plastic — so they’re not biodegradable — and they’re polluting our oceans and lakes – harming our marine life and dirtying our drinking water. 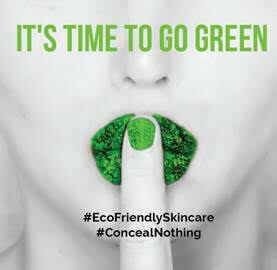 There are a slew of planet friendly face cleansing alternatives. You can even use straight up coconut oil to clean your face. I like Clarity MD when I need a good cleaning and some acne fighting machinery. It’s great because the ingredients are natural, organic and Peta certified vegan – and they’re from the Babchi plant and active Chamomile Extract. It’s even better when doubled powered with their Konjac sponge. Also if you’ve been following Asian beauty rituals – you’ve hear that this sponge (and we are ALL sponge-worthy!) is all the rage. I LOVE THIS!! It’s made from Konjac Root Vegetable fibers and infused with Charcoal and Bamboo. Pretty rad. 6. PLANT A TREE — OR BETTER YET….YOUR OWN GARDEN! Plants and trees do wonders for our planet and the people living in it. They filter our air from all the overwhelming pollution, they provide oxygen for our lungs — and they improve the property value of our homes! 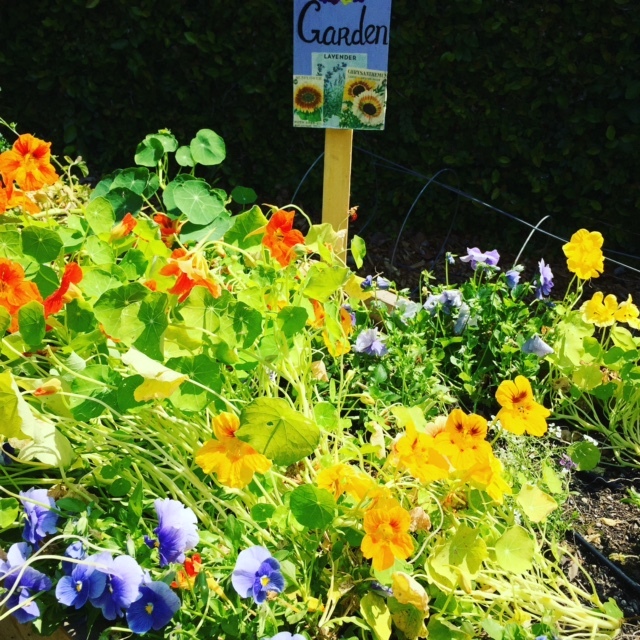 Why not take it up a notch — and plant your own organic garden! It’s great for YOU, your wallet and our planet! The growing, transportation, packaging of foods accounts for a huge percentage of our carbon footprint. 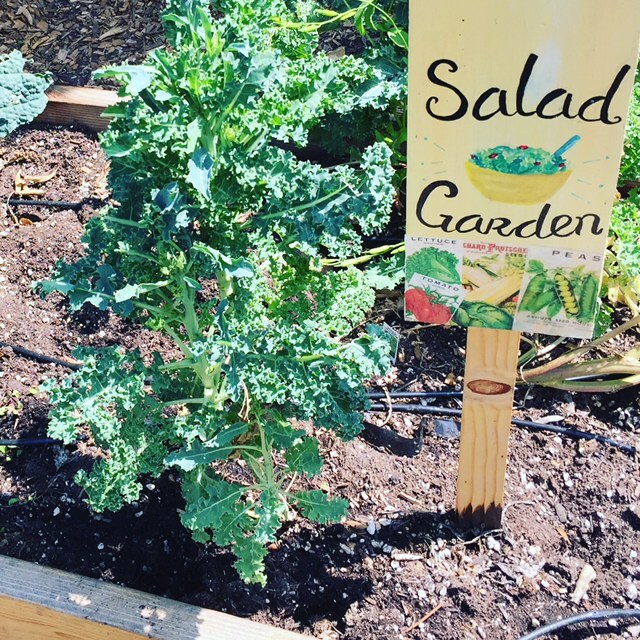 But if you grow your own fruit and veggies – then not only is actual planting great for you (Hello, exercise, fresh O2 and a boost of antioxidants!) — but it’s also crucial in terms of the reduction of our carbon footprint! +++ and tips from Plum Joyful — fellow blogger and one of SHE SAID’S best buddies. Heed some words from the wise…. 7. GET RID OF JUNK MAIL. We collectively receive one billion pieces of junk mail each year and according to one study by ForestEthics, the carbon footprint of junk mail is equivalent to that of nine million cars. There are many companies that can help you to opt out of junk mail and make the process easy such as ProQuo and Greendimes. 8. USE RECYCLED GLASS TUPPERWARE INSTEAD OF PLASTIC. Plastic cannot biodegrade and ends up in our oceans and landfills where it leaches dangerous chemicals like BPA and phthalates. These chemicals are endocrine disruptors and very harmful to your health. They have estrogenic properties and have been linked to cancer and fertility issues. So not only are you keeping the planet healthy by avoiding them, you are helping to keep your family healthy as well. Cotton is one of the most chemically dependent crops. These pesticides are polluting our environment. Buying organic is a an option that is healthier for the planet and you. Head to your local Farmer’s market to support the agricultural business in your area. Food travels many miles to get to your local grocery store and the carbon footprint is significant. This seems like quite a waste when there are farmers growing the very same foods within miles of your home. While you’re at it, choose organic and improve the environment even further by cutting down on the use of toxic pesticides that are polluting our air and water not to mention our bodies. This one is hard for me because I LOVE a trip to Zara or H&M, but these mega fashion chains churn out massive amounts of cheap clothes that are shipped all over the world creating a significant carbon footprint. These clothes are considered almost “disposable” because of there low price so people tend to throw them away and buy more and they are piling up in our landfills. Add to that the use of toxic chemicals in the manufacturing and dyeing process and it is clear that they have a very detrimental impact on our environment. Opt for vintage fashion, or smaller locally owned buisnesses and only buy pieces you will wear for a long time. 12. SHOWER WITH YOUR KIDS AND SIGNIFICANT OTHER TO SAVE WATER. It saves water and it’s FUN!!! 13. BUY IN BULK IF YOU DO GO TO THE GROCERY STORE TO CUT DOWN ON DISPOSABLE PACKAGING. Buy cereal, dried fruit, nuts and snacks from the bulk bins, and forgo the plastic produce bags when buying fruits and vegetables. Don’t forget to bring your cloth bag to hold all your groceries! 14. SUPPORT LOCAL BUSINESSES THAT MAKE SUSTAINABILITY A TOP PRIORITY. Whether you’re choosing a restaurant, clothing store, or a supermarket, look for the ones that have made their impact on the environment a top priorty. You would be surprised how many wonderful sustainable companies are out there right now and they need your support. 15. USE NON TOXIC ECO-FRIENDLY CLEANING PRODUCTS IN YOUR HOME. Again, chemicals end up in our air as volatile organic compounds (VOCs), in our water and ultimately in our bodies. There are many simple household items that are effective cleaners and are totally non-toxic, like vinegar, castille soap and baking soda. Plus you can mix your own in minutes in a reusable jar and you don’t need to buy all those wasteful plastic bottles. +++ and tips from another best friend, Dr. Nooshin Razani — pediatrician, earth advocate, Tedx Talk speaker — and the woman who I can confidently say will save the world. It is the cause of all the evil in the world, currently. When you are outside, look for the small and living things and notice them. Are they OK? Allow yourself to enjoy nature, enjoy nature with your family, and allow especially your child to enjoy nature. 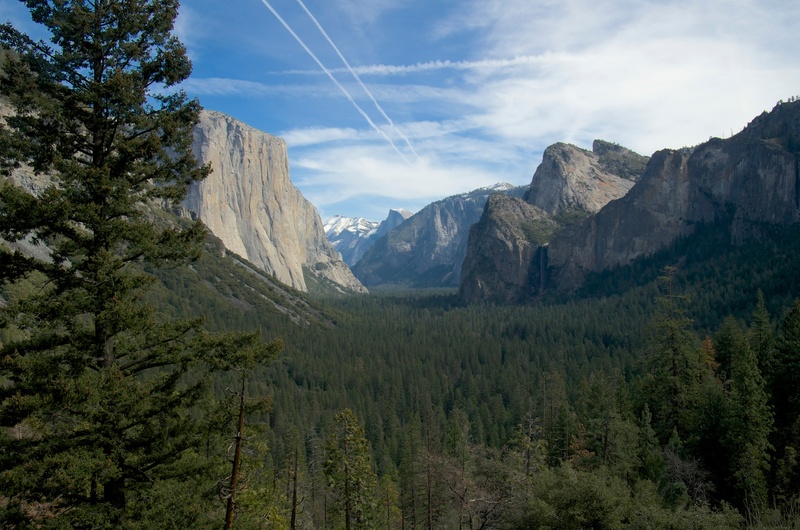 This will help motivate your actions and investment in the environment for the long haul. Better yet, DANCE outside. Anywhere, anytime, and especially make sure a child or elder is with you. 19. 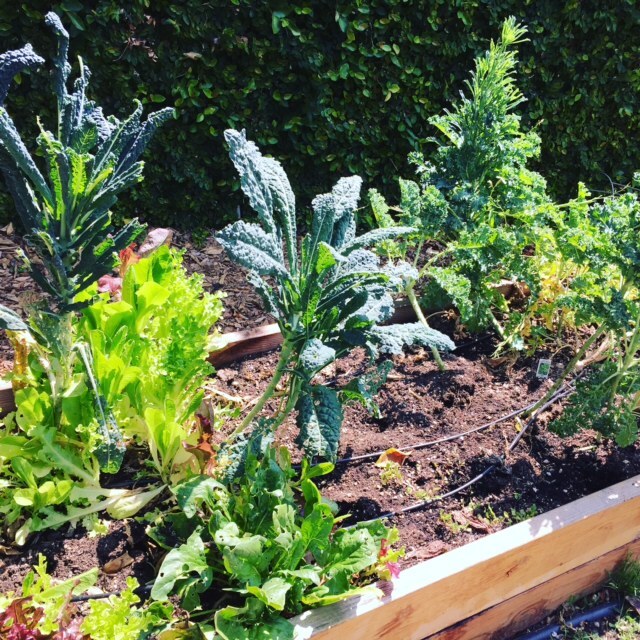 Make your vegetable garden in your front yard. Create opportunities for neighbors to meet, be together — and in the long run, to organize around local issues that matter to the earth. 20. Eat meals with community in nature. Remember, nature is about community. The more we are together and unplugged in nature, the more we will be aware of what is happening in our neighborhoods, and what we need to advocate for. Do something exactly where you are at on the physical earth. 21. Vote in small elections. All important politics are local, and many environmental issues come up in local and small elections. Let your voice as someone who cares for the environment be heard. 22. Treat your mind as you treat your body and the earth. Care about what is happening in the world, and demand that your government tells you the truth. Continue to imagine and demand, always, that it is possible to treat the humans, the animals, the plants, all beings and natural resources of the earth with dignity and respect. It is possible — and the story about life being horrible and all the earth’s people being horrible is false. This is a beautiful earth. HAVE A BEAUTIFUL WEEK, AN INSPIRING EARTH DAY – and BE SURE TO LEAVE THE PLANET CLEANER AND STRONGER THAN IT WAS YESTERDAY. WE LOVE YOU! HAPPY, HAPPY EARTH DAY! LOVE, the 3 of us. by ELAINESIR April 22, 2019 April 22, 2019 .
by ELAINESIR April 18, 2019 April 23, 2019 . If you follow my blog, you already know I’m obsessed with K-beauty and all the secrets they have to offer.